“I love my blonde hair but what I don’t love is the maintenance. 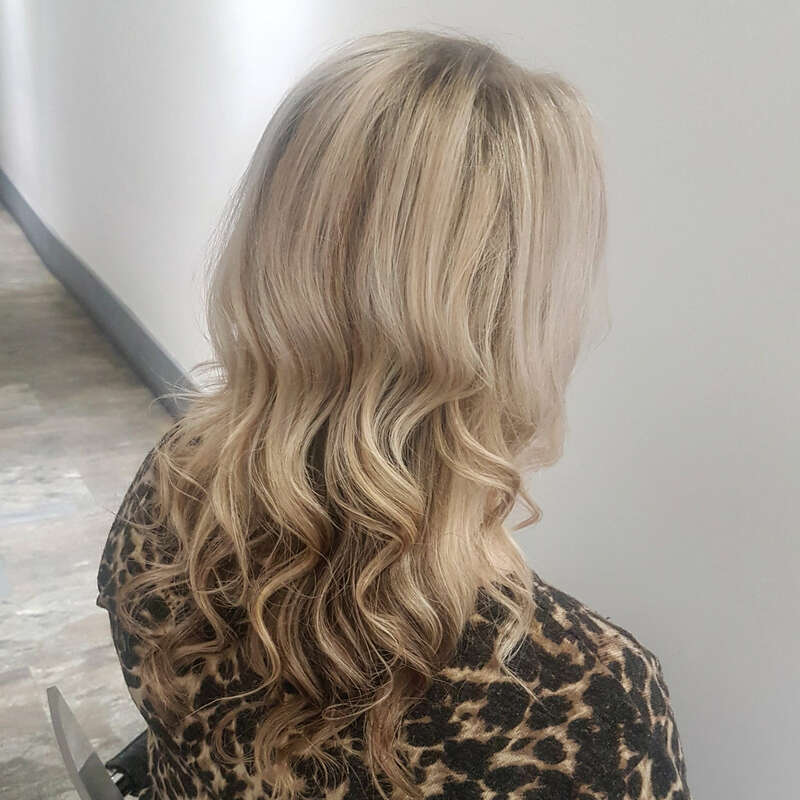 It’s great when it’s freshly coloured, all sleek and glossy but we all know that unfortunately that salon shine doesn’t last as long as we’d like it to in between visits. I had been going through one of those ‘dull, lifeless, can’t do anything with my hair’ phases and I was wanting either a minor miracle or a drastic change when I last visited Nikki and Claire at Utopia. 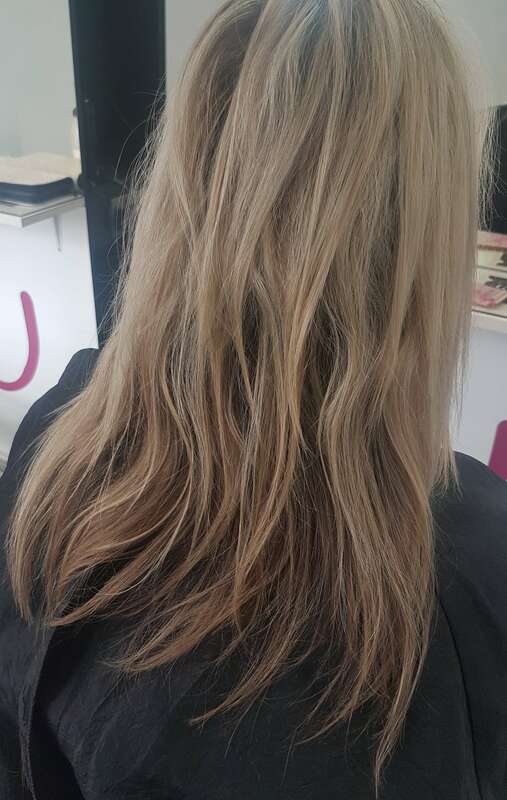 Combining years of being blonde along with endless blow drying, curling and straightening takes its toll on your hair and on my last trip to the salon I was toying with the idea of going darker (again) or gradually fading back to my natural colour (not really an option now that the grey has started to emerge!). As always, Nikki Utopia’s ever-attentive colourist, took the time to question me about my reasons and talk to me through my decision before I did something I didn’t really want to do ( she knows me well!). It was then that the magic word ‘Smartbond’ was mentioned to me. Great in theory, but does it work? Nikki’s emphatic reply affirmed this and was seconded by Stylist Claire. who has been using this product on her own hair. What better testament! There was nothing left to do but give it a go. So how does it work? During technical services, oxidative stress can damage strong bonds. ions left in the hair stop weak bonds from reforming, this leaves the hair agile and prone to breakage. With this additive hair can be protected and strengthened during the technical service. 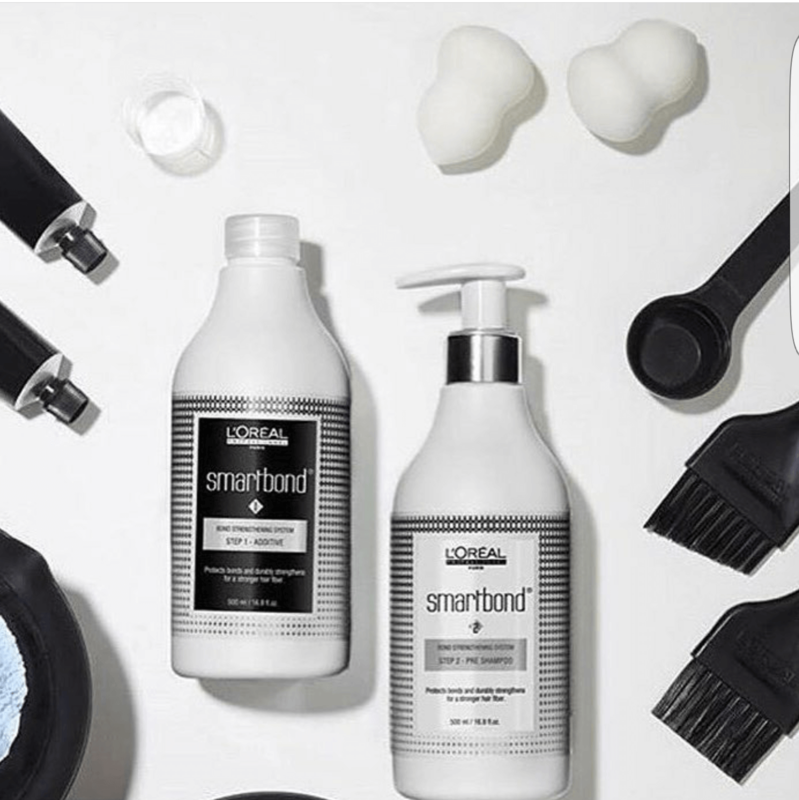 Using Smartbond will result in more bonds than without. There are two stages to Smartbond. Step 1 contains maleic acid. This limits the oxidative stress and preserves the strong bonds. It also captures the ions allowing for reconstruction of the weak bonds. Step 2 also contains maleic acid which will continue to capture the ions to allow the weaker bonds to reform. It contains a blend of ceramics and polymers to provide condition and shine to the hair. So that is what happened, but did I notice a change and did it look good? Did I get my minor miracle? Yes I did, I absolutely loved it! The finish was fabulous; my hair really did look different. It was healthier and shinier and there was that ‘something’ about the colour. I was delighted! The real proof would be in the weeks to come though. Would it keep this glossy look and would it be easier to manage? Well, I can honestly say it has and it is! I have noticed a real change in my hair. The shine really has lasted and it is much easier to blow-dry too. It feels and looks so much more healthier and people have even commented on my colour… true testament to the power of this product when I have been having the same colour for the last ??? years!